If you have been told you have periodontal (gum) disease, you’re not alone. An estimated 80 percent of adults currently have some form of the disease. Periodontal diseases range from simple gum inflammation to serious disease that can result in major damage to the soft tissue and bone that support the teeth. Gum disease is a threat to your oral and general health. Dental cleanings, routine checkups, and other preventive treatments are essential for helping patients maintain healthy teeth and gums at any age. At Mesquite Dental Smiles we provides a comprehensive array of preventive dentistry options to help patients of all ages enjoy better oral health. 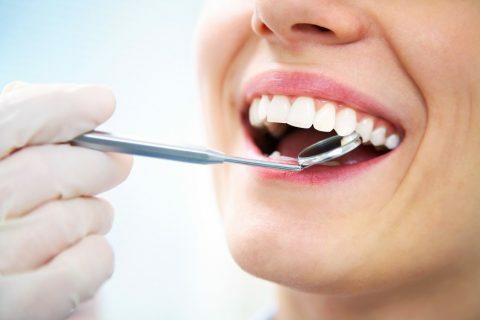 Preventive dentistry focuses on all the treatments and procedures used to help patients avoid tooth decay, gum disease and other issues that can damage teeth and gums and contribute to poor oral health. The best way to avoid major oral health issues is to practice good preventive care to prevent problems from occurring and to spot problems in their earliest stages so they can be promptly treated. Preventive dentistry is important for patients of all ages – even those whose teeth have been replaced by dentures. What types of procedures are included in preventive dentistry? Perhaps the most common preventive procedures are routine checkups and dental cleanings. Checkups and cleanings are designed to identify problems as quickly as possible so they can be treated and further damage or disease can be avoided. Other preventive care options include gum disease prevention and treatment, education aimed at helping patients perform better home care, and oral cancer screenings.